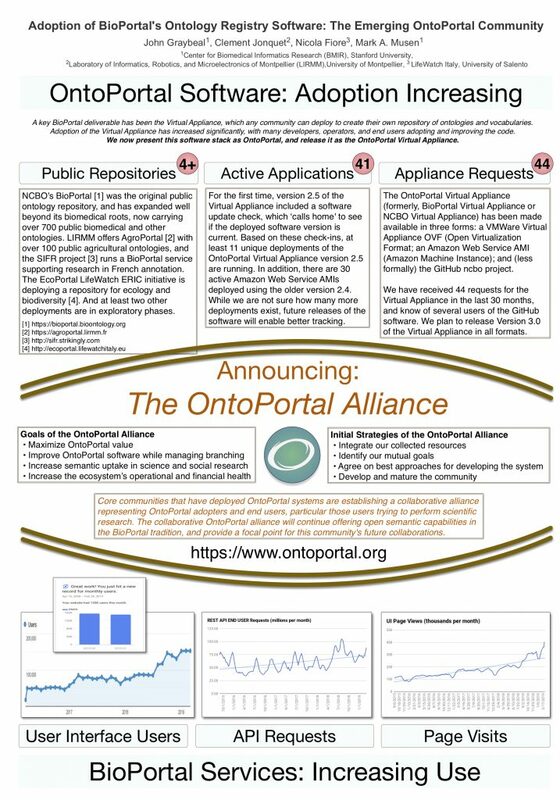 The OntoPortal Alliance had its soft opening at the Research Data Alliance 13th Plenary in Philadelphia this week. Share the news! The most frequently asked question about the OntoPortal Alliance is: “Does this replace BioPortal?” Rest assured, the OntoPortal Alliance will not replace BioPortal, but will be a larger organization that supports BioPortal, AgroPortal, EcoPortal, and the other OntoPortal software deployments around the world.